The First Light Video DVD: Creating Action Videos by Videomaker demonstrates many ways to help you create and improve your action-centered videos. 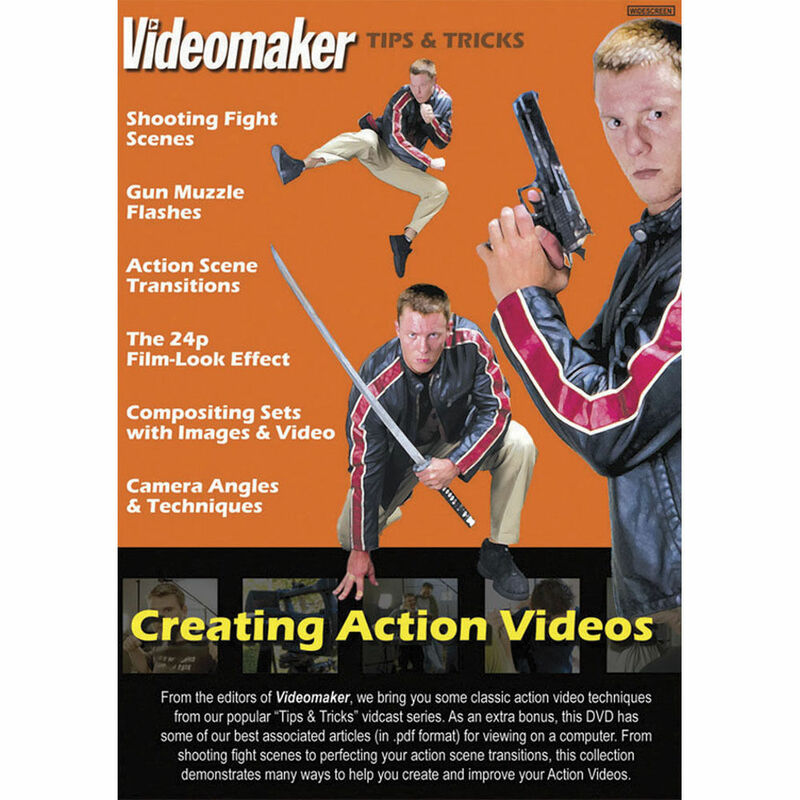 This DVD will help you not only shoot your action scenes, but improve your transitions, too. Lessons covered include: Shooting Fight Scenes, Gun Muzzle Flashes, Action Scene Transitions, The 24p Film-Look Effect, Compositing Sets with Images & Video, and Camera Angles & Techniques.